Memphis, TN-based songwriter Julien Baker is the latest addition to the Matador Records roster. The 21-year-old’s devastating and vulnerable debut album, ‘Sprained Ankle’, which was originally released in 2015, is now being made available again. 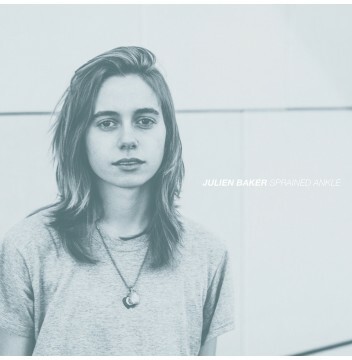 A 7” single by Julien Baker is also being released at the same time. For years, Baker and a group of close friends performed as the band Forrister (formerly The Star Killers) but when college took her four hours away, her need to continue creating found an outlet through solo work. The intent was never to make these songs her main focus, yet the process proved to be startlingly cathartic. As each song came into shape, it became more apparent that Baker had genuinely deep, surprisingly dark stories to tell from her thus far short life. Tales of her experiences are staggering and when set to her haunting guitar playing the results are gut wrenching and heartfelt, relatable yet very personal. There’s something wonderfully hypnotizing about Baker gently confessing her soul with such tremendous honesty.